If you enjoy fruity flavors, you will love this orange and pineapple mix from Hawaiian Shaved Ice! This snow cone syrup is a delicious treat that gives you a taste of freshly sliced pineapple and a ripe orange! 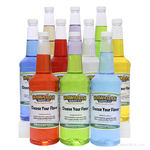 It�s the perfect treat for a hot summer day, or when summer�s over and you�re craving that fresh fruit taste. 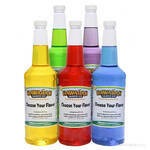 These two fruity flavors combine create a delicious blast of flavor that your taste buds will certainly enjoy. 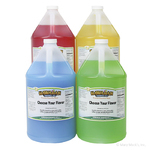 Kids love the blend of orange and pineapple sno cones; serve these up at your kid�s next party! 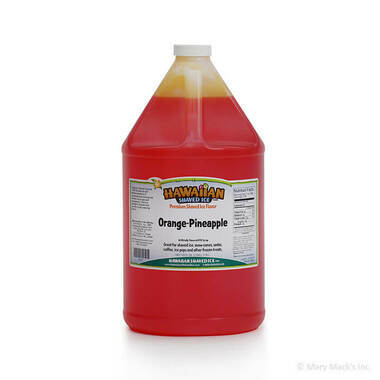 Grab a gallon for the whole party to enjoy a tasty orange pineapple snow cone. This shaved ice flavor is also available in a quart size, if you want a smaller amount! This flavor is also available in the assorted packages, so you can include all of your favorite fruity flavors from Hawaiian Shaved Ice!